2009: Legalisation of poker cash and casino games. The regulation concerning exchange betting and virtual betting was already initiated in 2006, but the approval for these online sports betting games was granted in September 2013. The detailed progress of the development of remote gambling is to be found in the gaming decree and its updates, to be found on the website of the Agenzia delle Dogane e dei Monopoli (ADM), under the section Giochi (Games). Its mission is “…deals with the sector of public gaming in Italy, it constantly verifies the compliance of the licensees and of traders of the gaming sector to the rules and fights against illegal gaming. It also…” The Monopolies Area was established after the merger of the Independent Administration of State Monopolies with the customs Agency. This regulatory body was until september 2014 also known as AAMS. A person that would like to play at an online casino in Italy is required to register by signing a contract and opening a player account with disclosure of personal data and tax code, aka “Codice Fiscale”. The customer registration also requires the player to send along a copy of his or her ID, which will be validated by the Agency of Customs and Monopolies (ADM). The age restriction policy of the Italian government imposes a minimum age of 18 years. Adults that assist minors in gambling, in any way, risk criminal charges by doing so. In Italy, both the organisation and operation of online gaming is reserved to the state only. The state runs a number of games, especially lotteries. At the same time, the government grants licenses for igaming companies. An igaming licence for authorised Gioco a distanza is granted for 9 years. Under the new gambling regulation, the current licensee holder can extend their gaming portfolio, under the same license, with authorised games. fixed-odds games of chance (casino games). 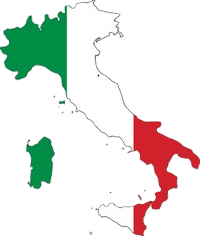 The Italian regulatory network has been updated with some striking new features. The application regulations have been made more flexible. The requirements that need to be met may sound like heaven to some: licensees need to place €1,5 million as bank guarantee to ensure players that the online operator will always be able to fulfil its financial commitment towards its participants. Another interesting requirement is definitely that there is an audit to be provided by an independent certificator that the applicant holds the required technological infrastructure, know-how and management resources to run an remote gaming service under Italian license. This way, players can be ensured that they will join a state-of-art gambling website. The ADM is the supervising body for the customer registration, deposits and withdrawals. Next to this the ADM lists each bet and win. To help players recognise responsible authorised games and operators, all games and logo’s are listed on its website, with a detailed explanation per giochi. Italy is one of the first countries that sets strict minimum payout percentages which are annually processed by the Remote Gambling Observatory of the Politecnico di Milano, at request of the ADM. The Italian regulatory framework imposes a number of limits to protect players like for instance setting parameters for self limitation upon registration. The igaming licensees are also required by law to provide players specific tools f.e. self-exclusion tool. Operators and the ADM can verify new registration credentials in realtime, at the same time.